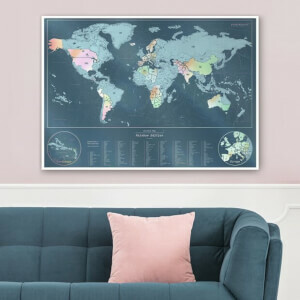 The popular Scratch Map now comes in a fun ‘Sweary’ Edition: a stunning world map printed on high-quality satin gloss laminate paper with a removable censored foil top layer that will teach you unique swear words from each country! 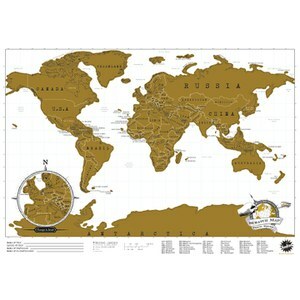 The world map is detailed with English translations and definitions in the key. Scratch the top foil layer from the countries you have visited and they will be revealed in multicoloured shades. 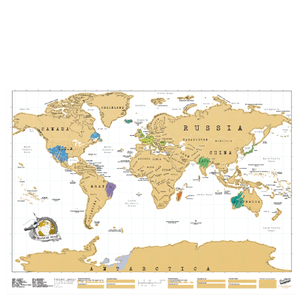 Housed in a matching gift box, the Scratch Map is a great gift idea for anyone with a love of travelling… and using colourful language!